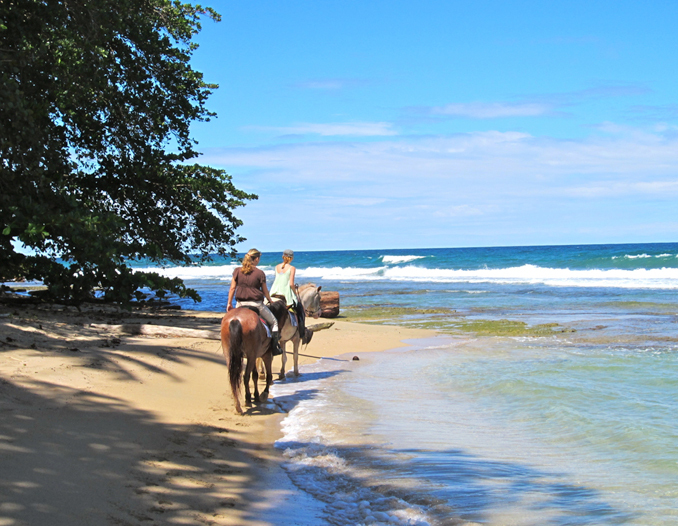 You will be picked up at your hotel in Puerto Viejo by your guide and we take you on a guided ride of the local beaches. 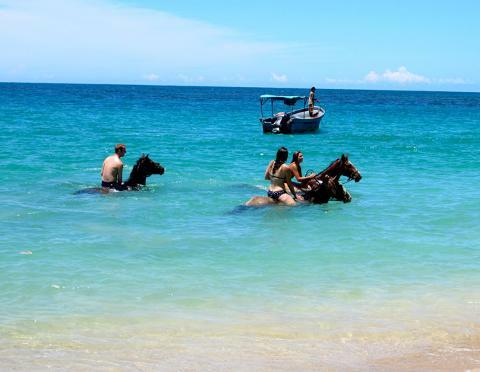 There are only a few horses available at each location so advance booking is recommended. 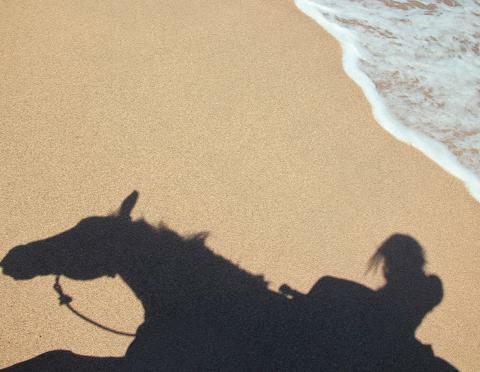 A very popular combo is our Ride & Relax package, where you will be treated with a relaxing massage after exploring the pristine beaches of the South Caribbean on horseback. 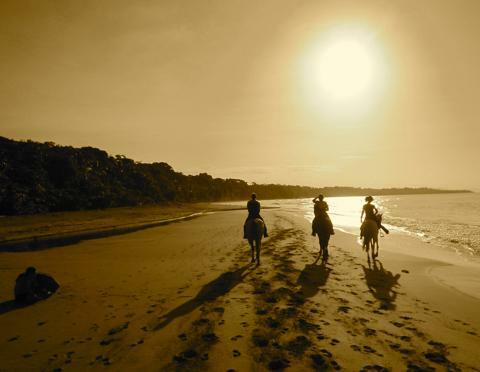 Leave behind worries and stress, hop on a good horse, a comfortable saddle and a trail that leads you to one spectacular post card view after another. We’ll take you to the perfect spots for capturing once in a lifetime photos and viewing wildlife in its natural habitat. 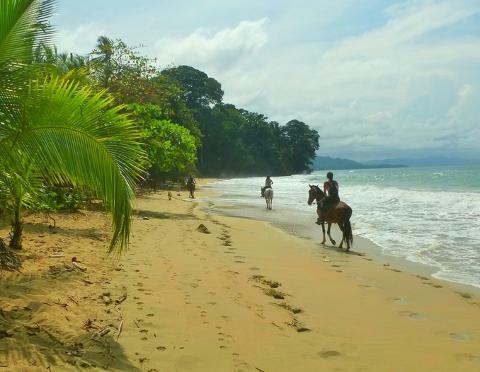 You will be able to see sea eagles, giant jungle trees, gorgeous butterflies, sloths, howler monkeys, toucans and amazon parrots. 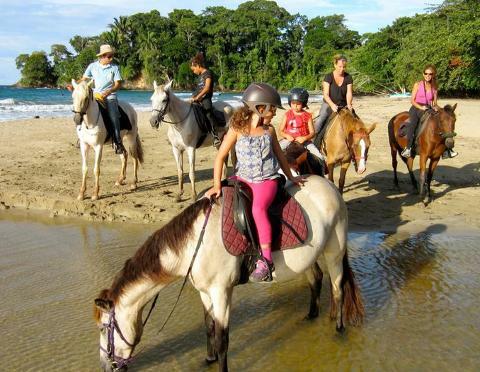 Our horses are well-fed and able to take any riders from beginner to advanced through the gallop of a life time along the most breath taking side and immaculate Caribbean beaches of Costa Rica. Note: The weight restriction for this tour is 90 kg / 200 lbs. What to Bring: Close toe shoes, light comfortable clothes that can get dirty, long pants, hat, sunblock, repellent and water.